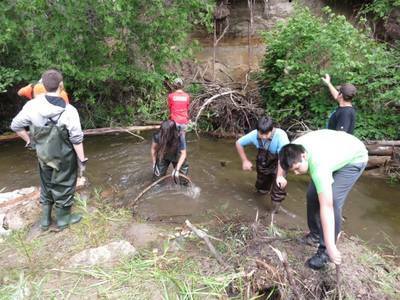 The grade 8 students at Lakeview P.S. 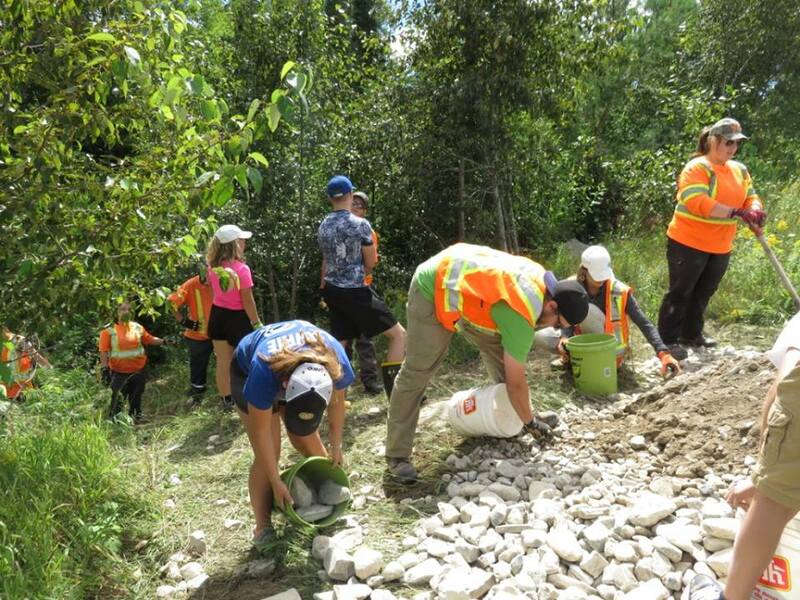 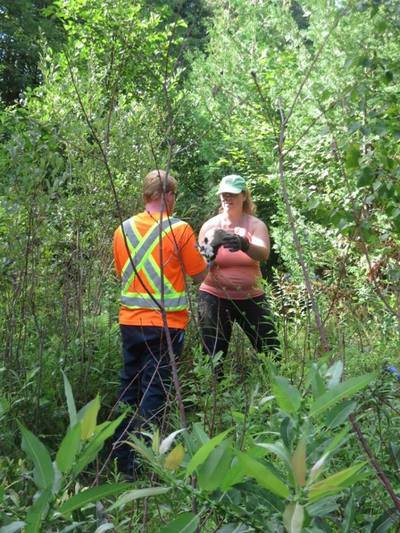 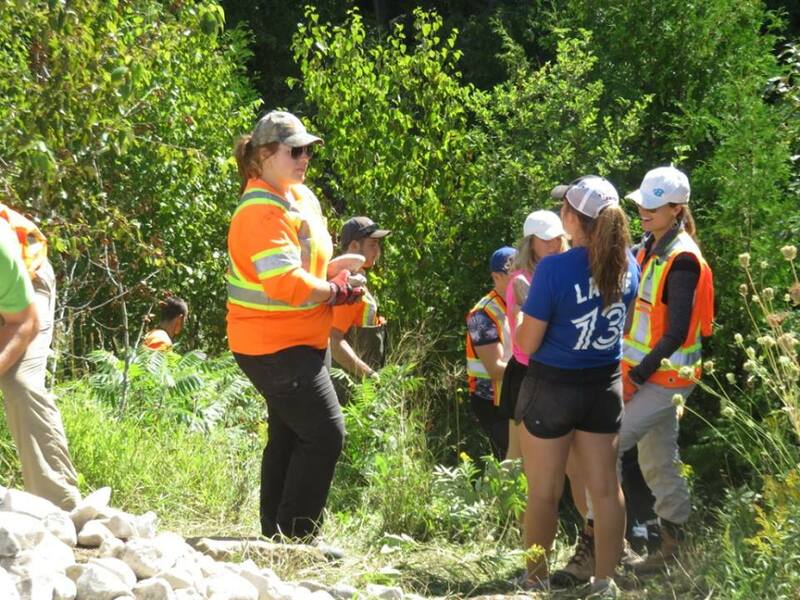 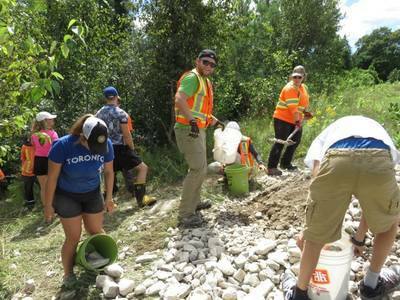 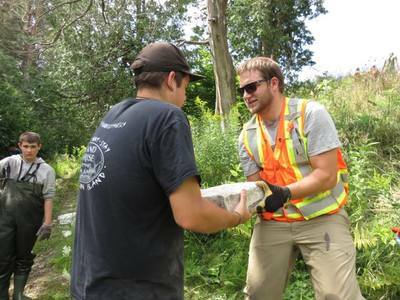 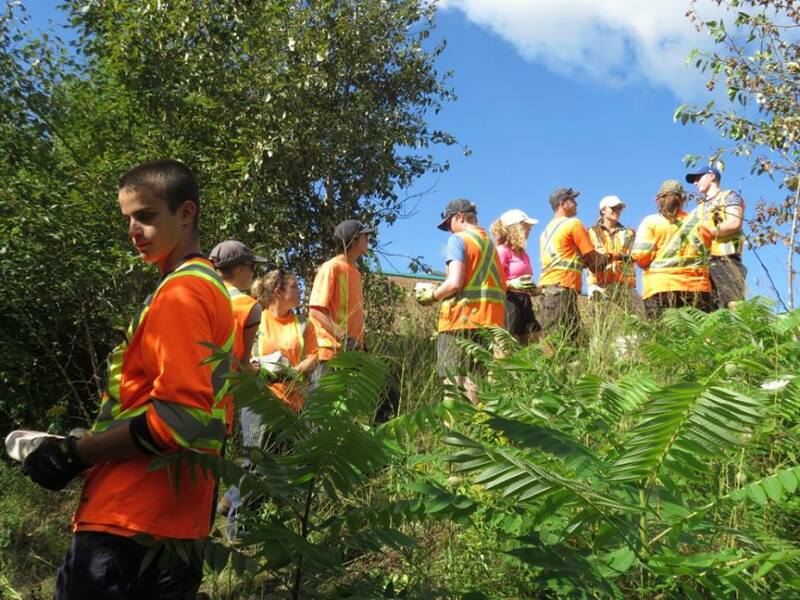 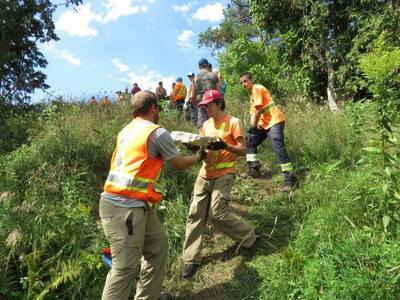 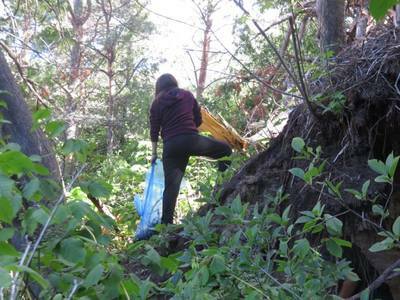 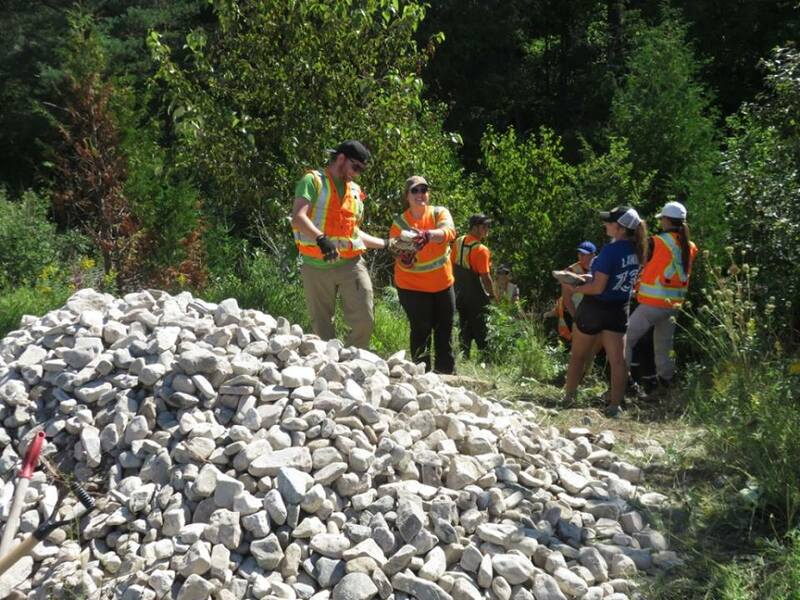 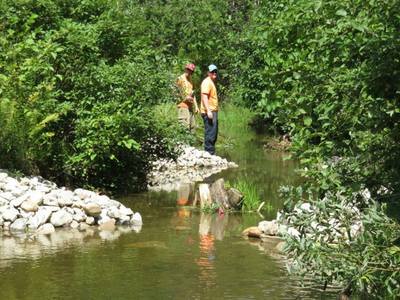 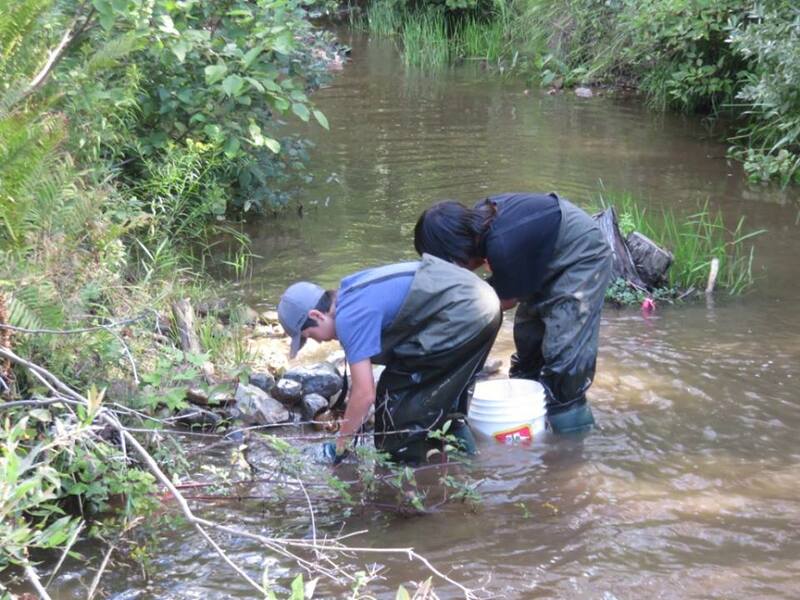 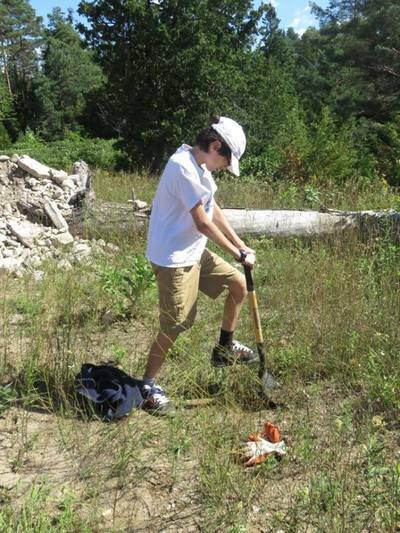 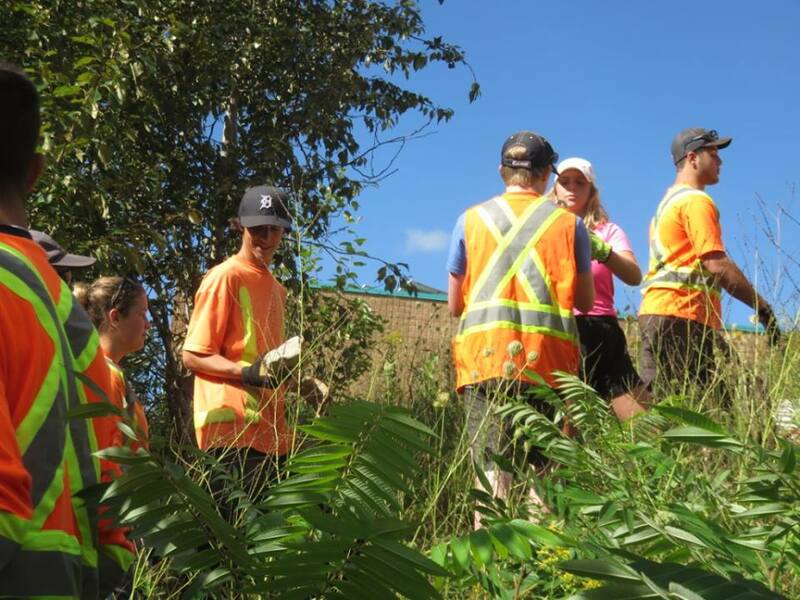 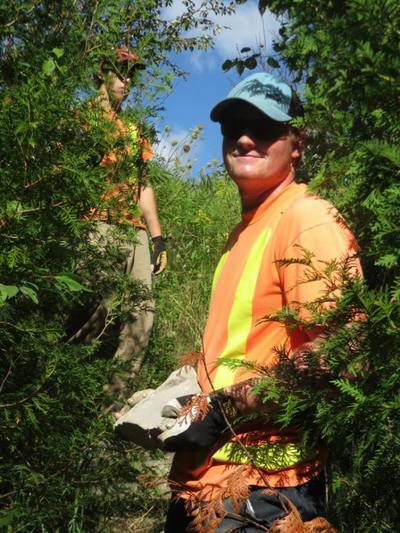 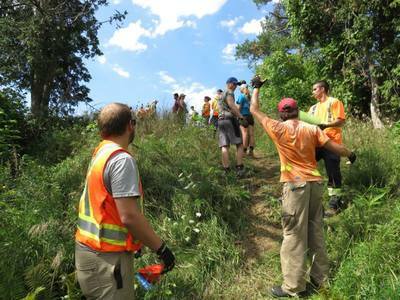 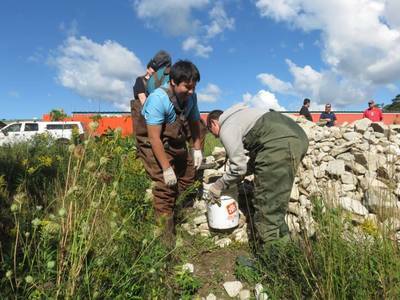 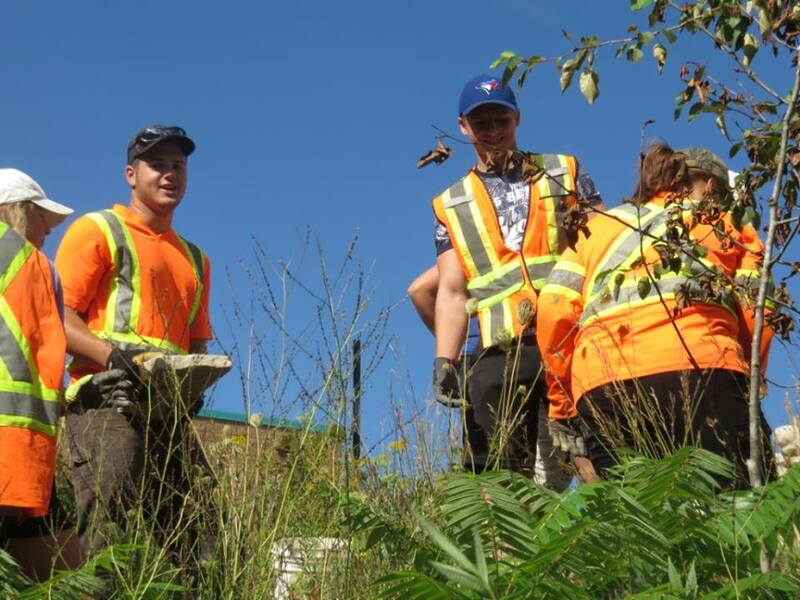 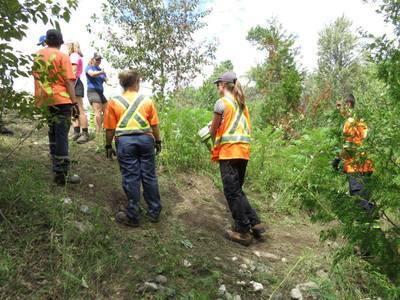 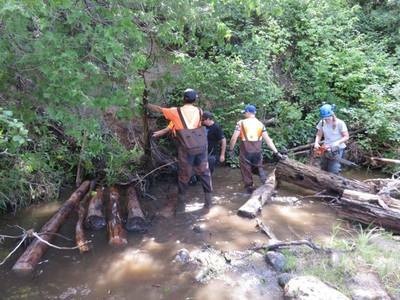 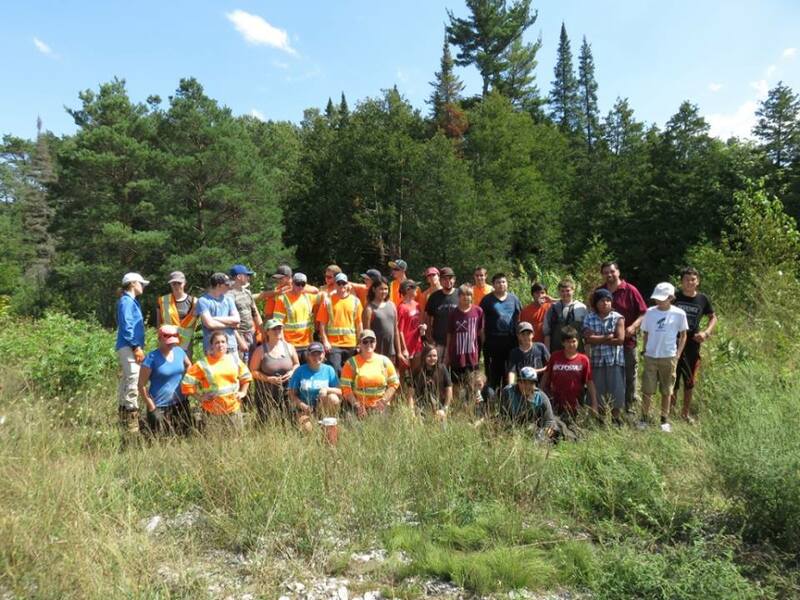 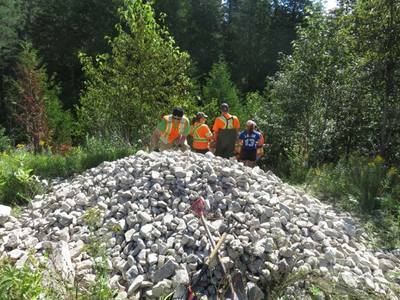 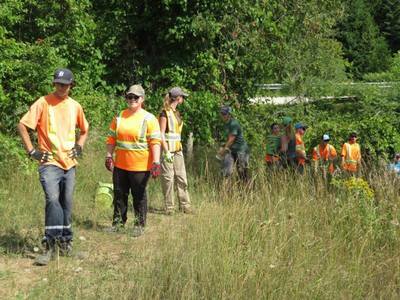 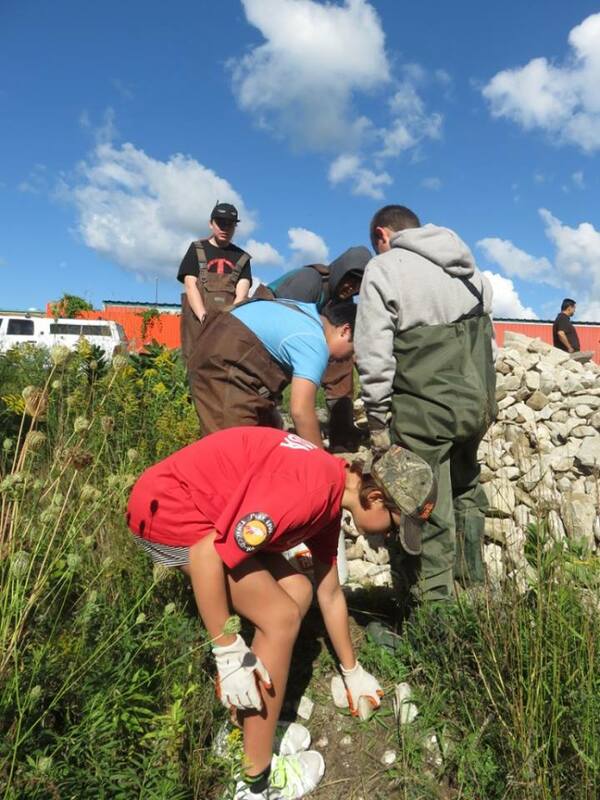 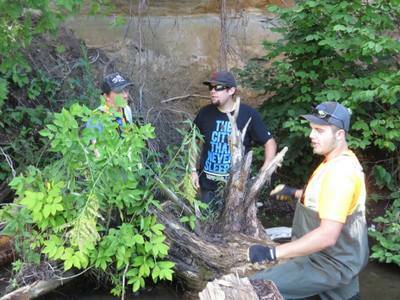 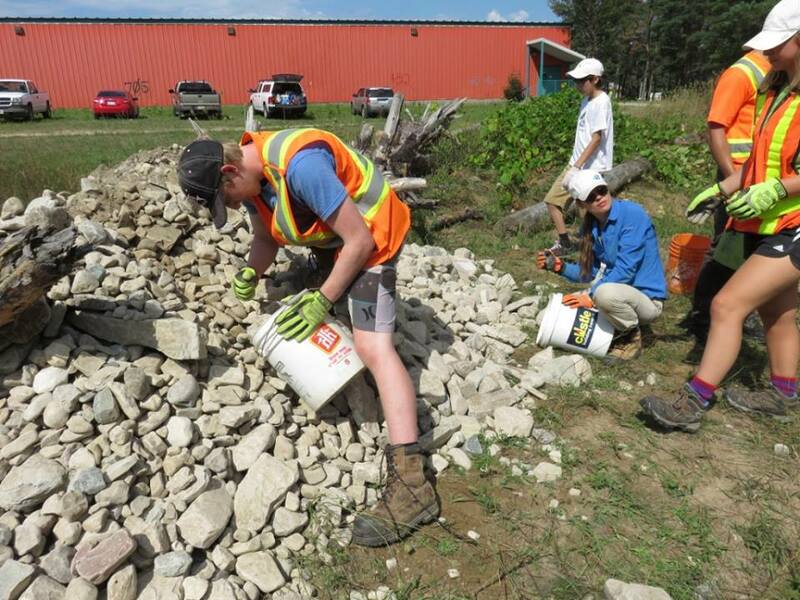 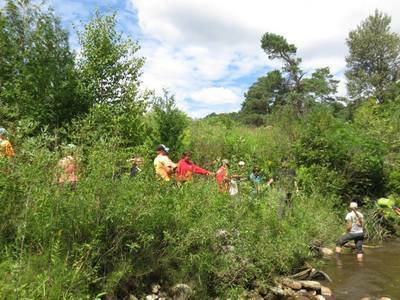 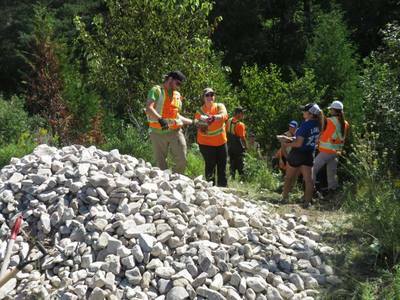 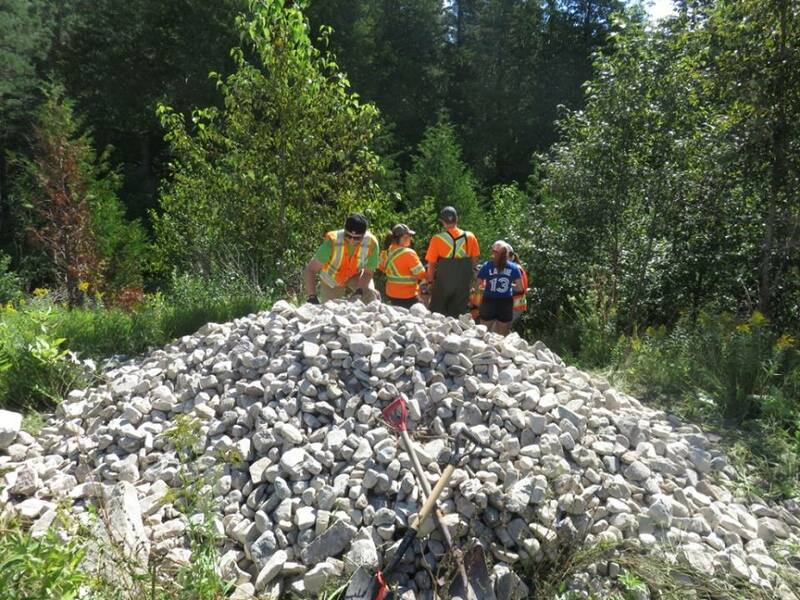 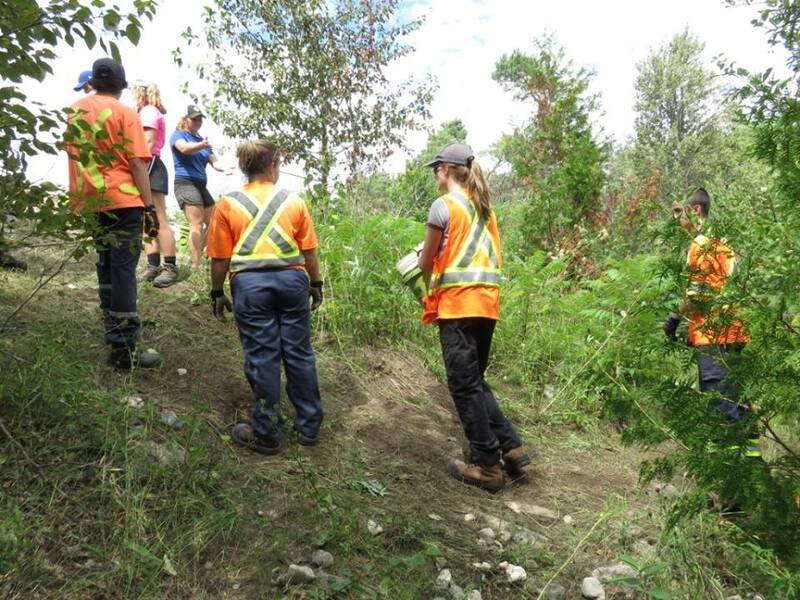 worked hard for 2 days with the help of the Windy Lake Provincial Park and Sudbury District Stewardship Rangers hauling rocks to place in the river, planting trees and cleaning up the garbage in M'Chigeeng Creek to improve spawning habitat for salmon and trout. 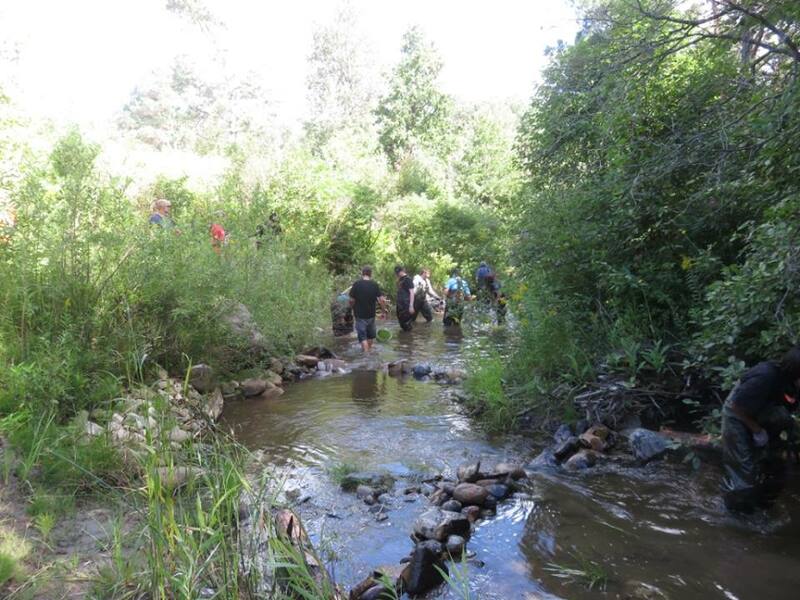 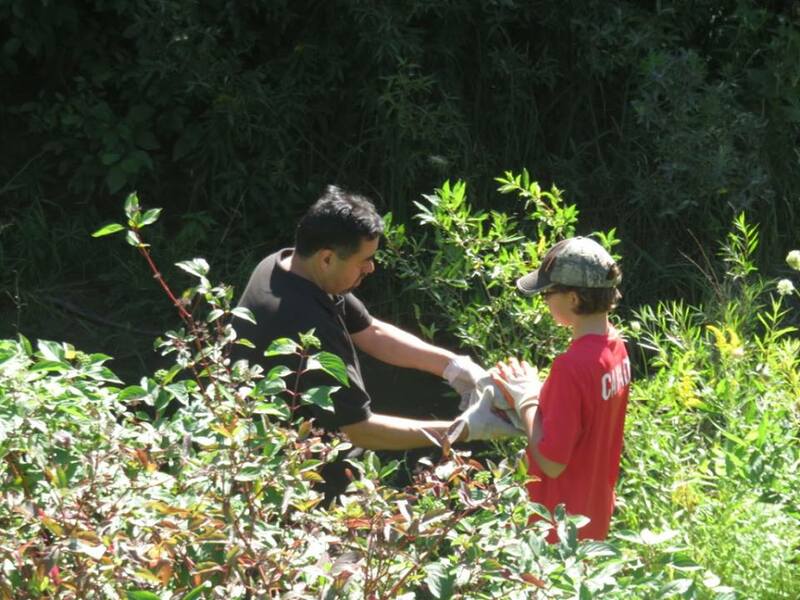 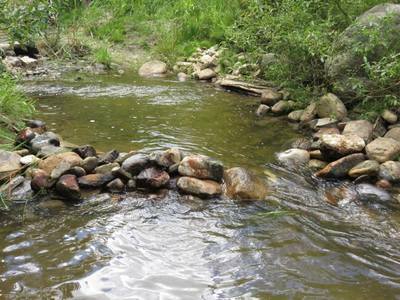 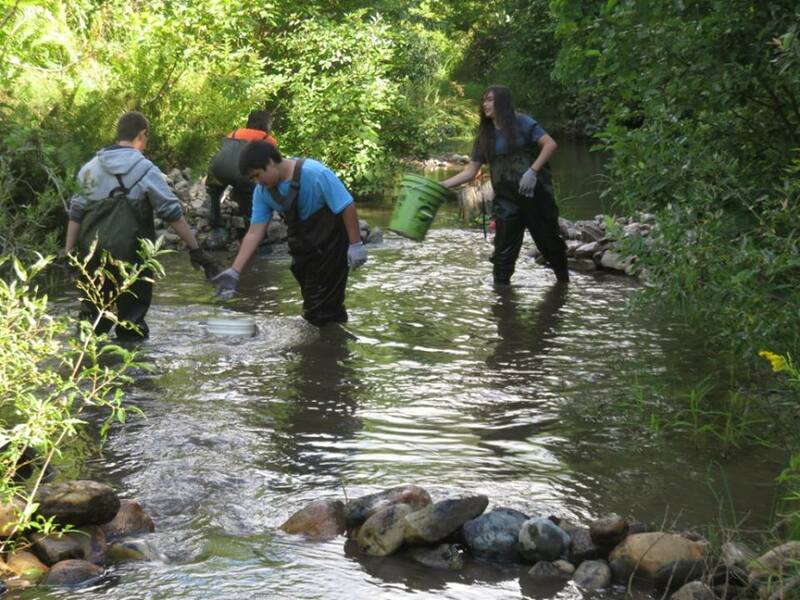 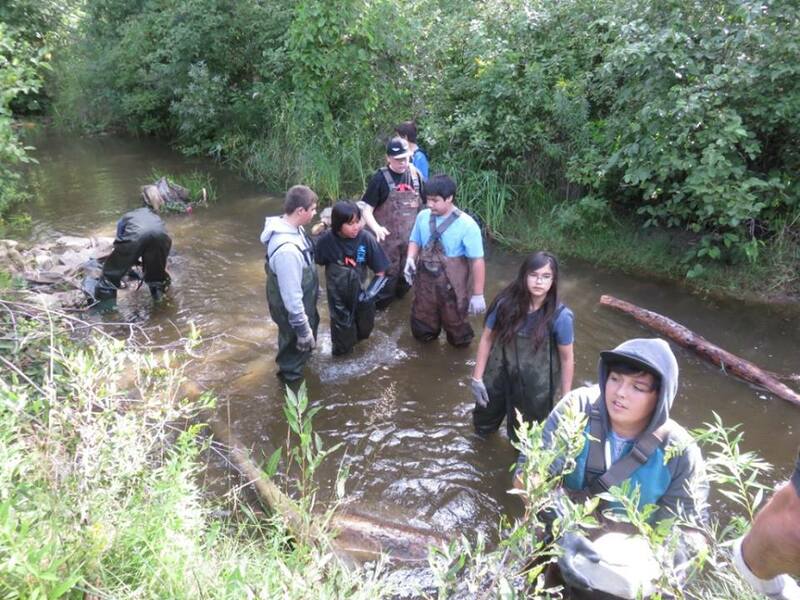 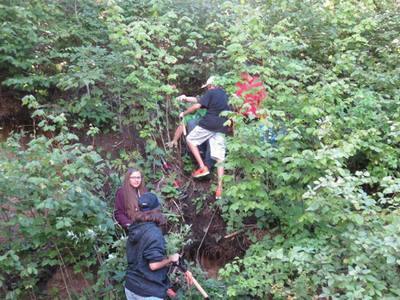 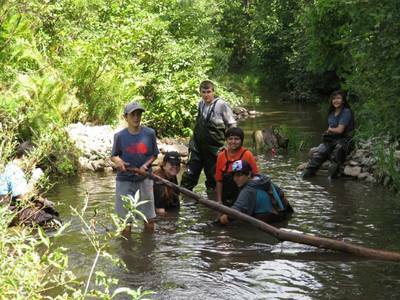 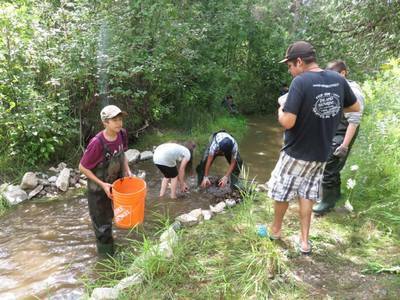 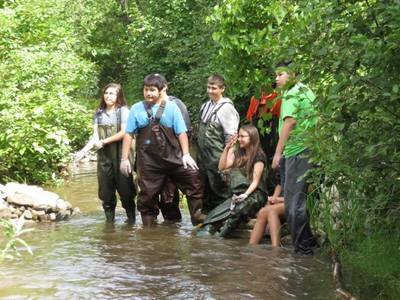 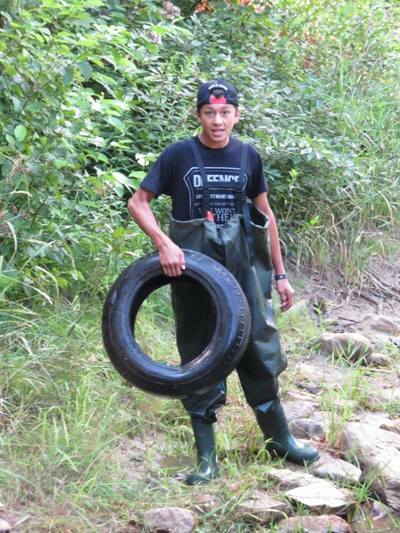 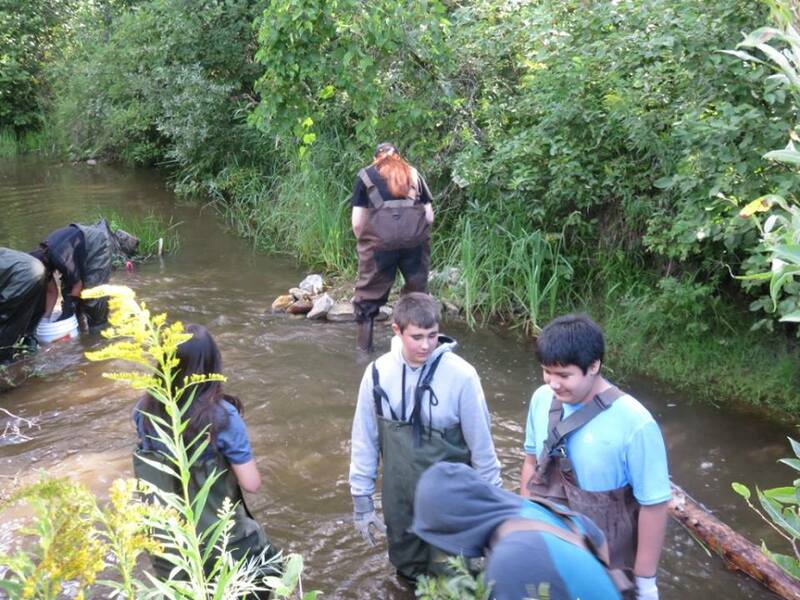 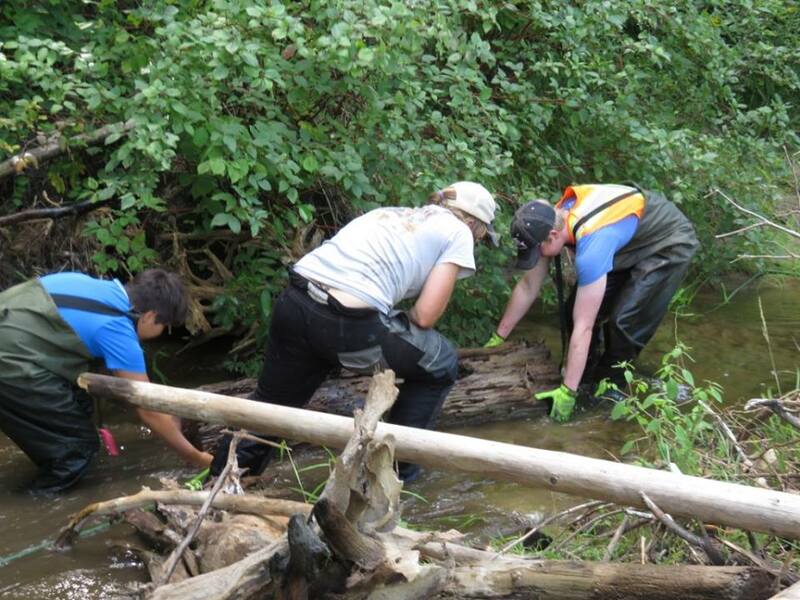 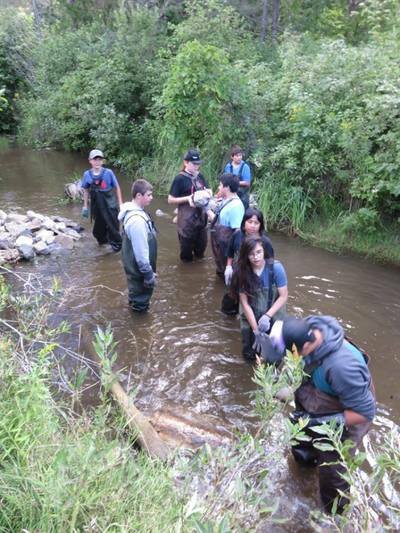 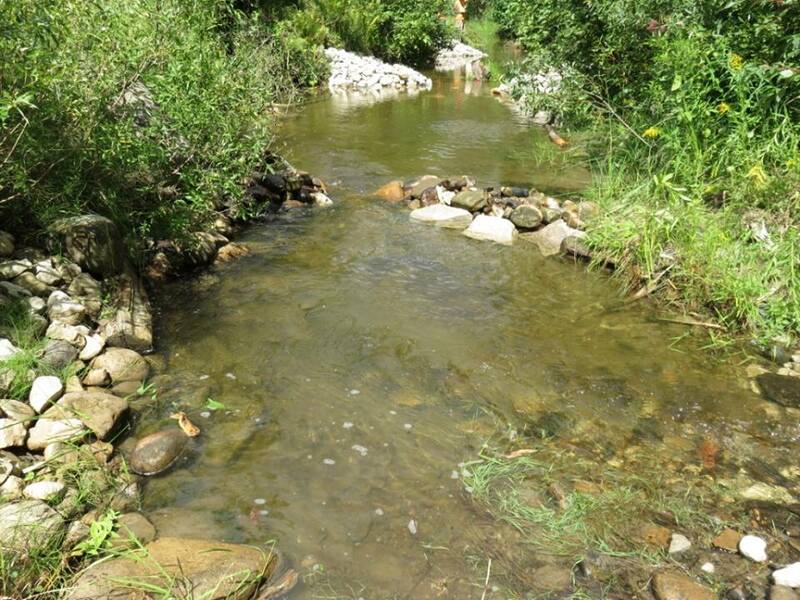 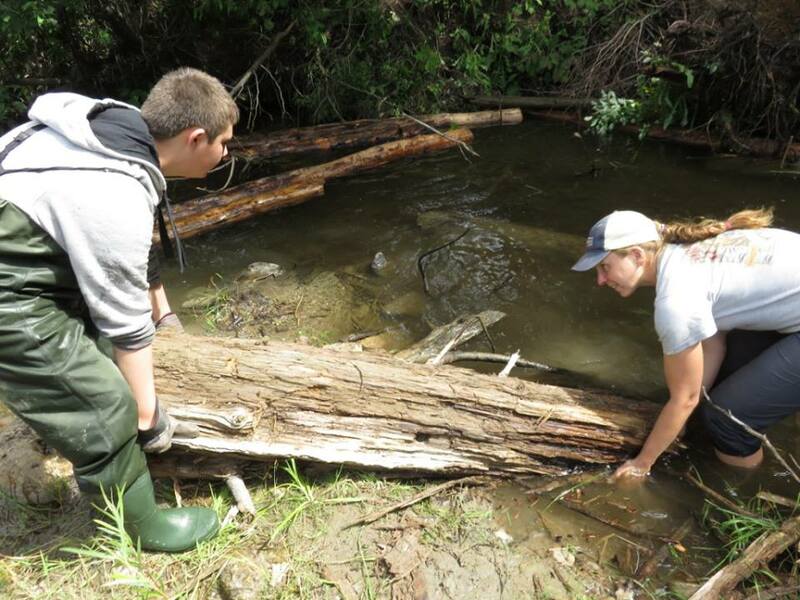 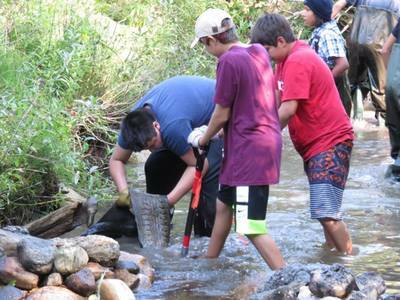 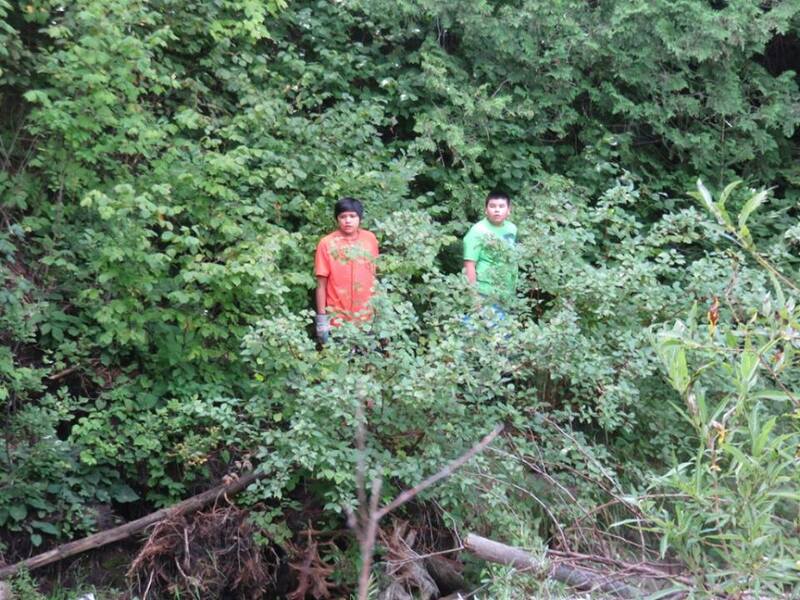 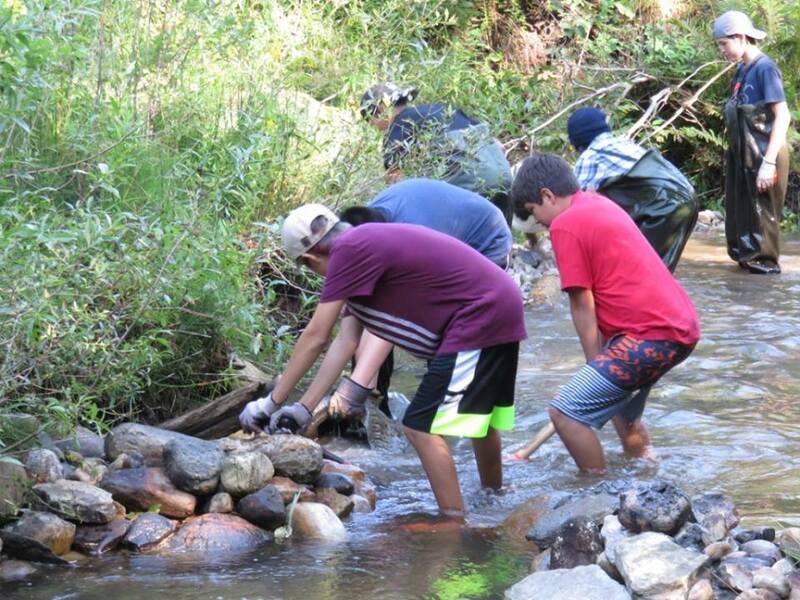 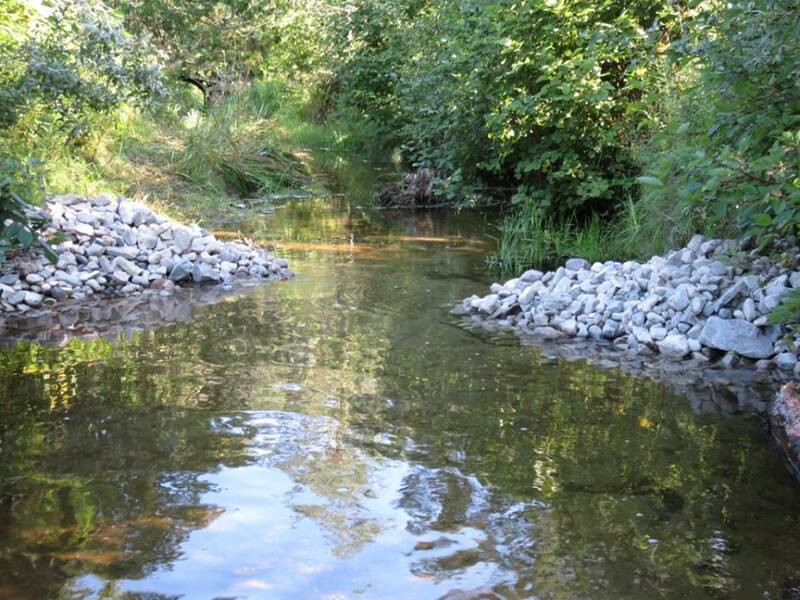 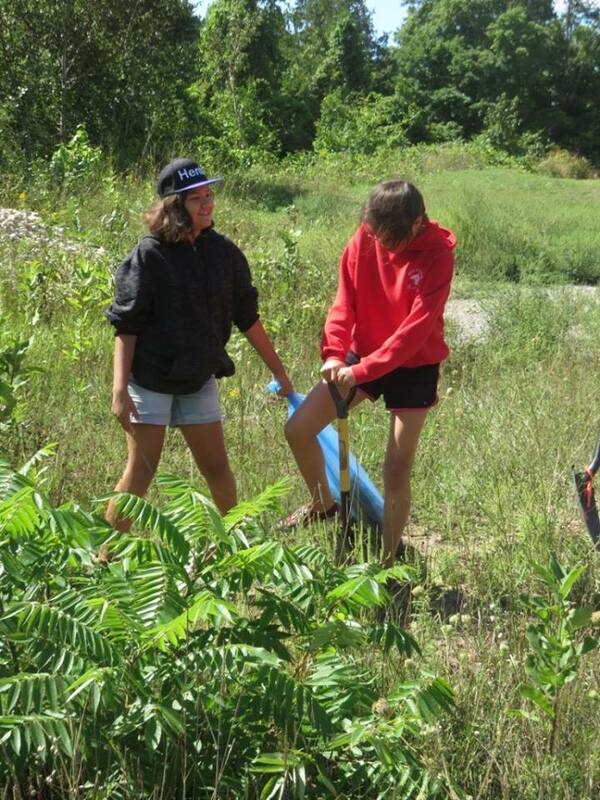 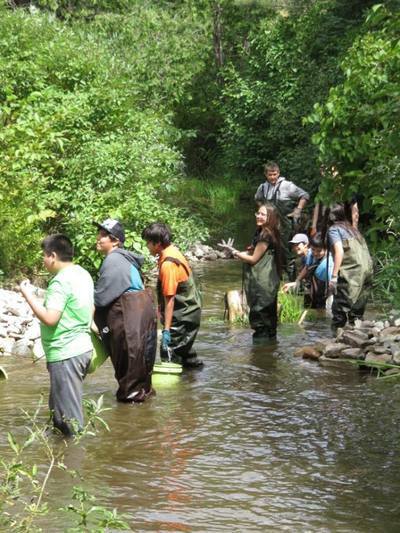 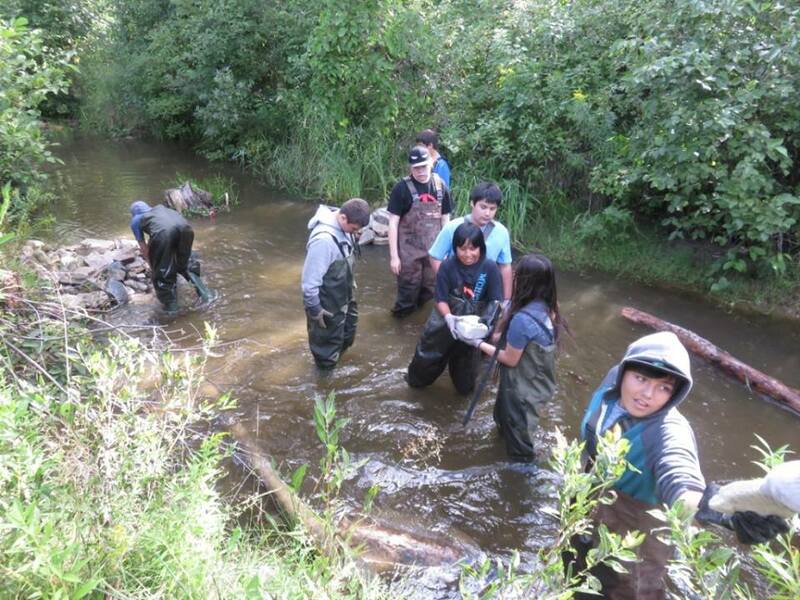 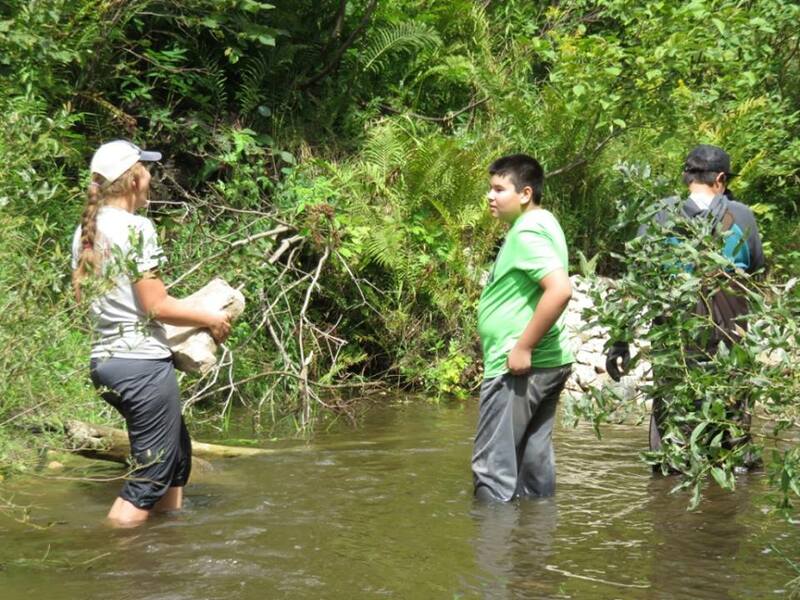 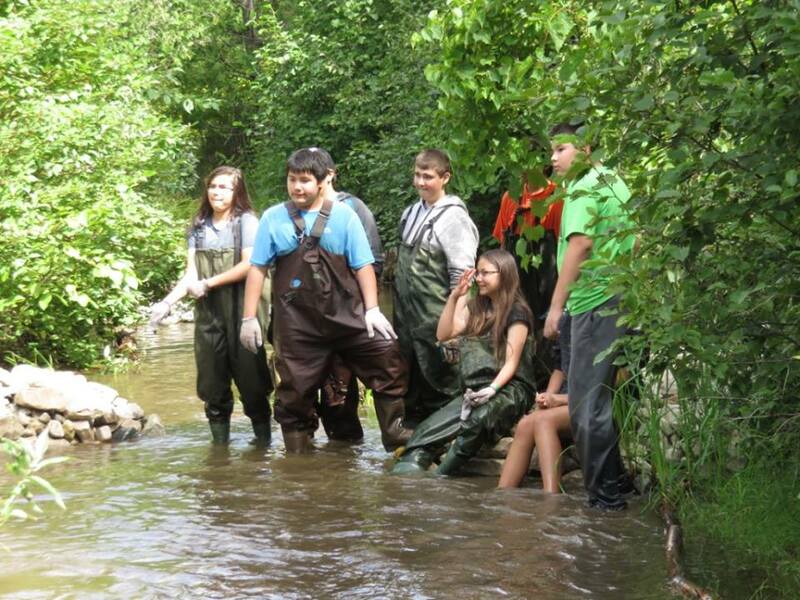 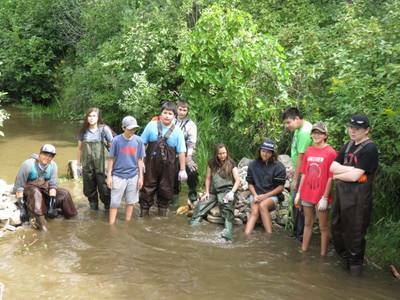 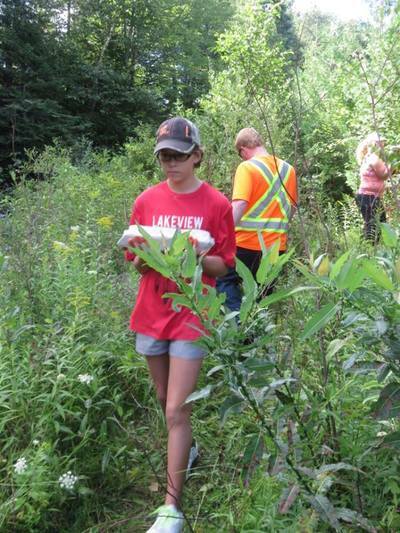 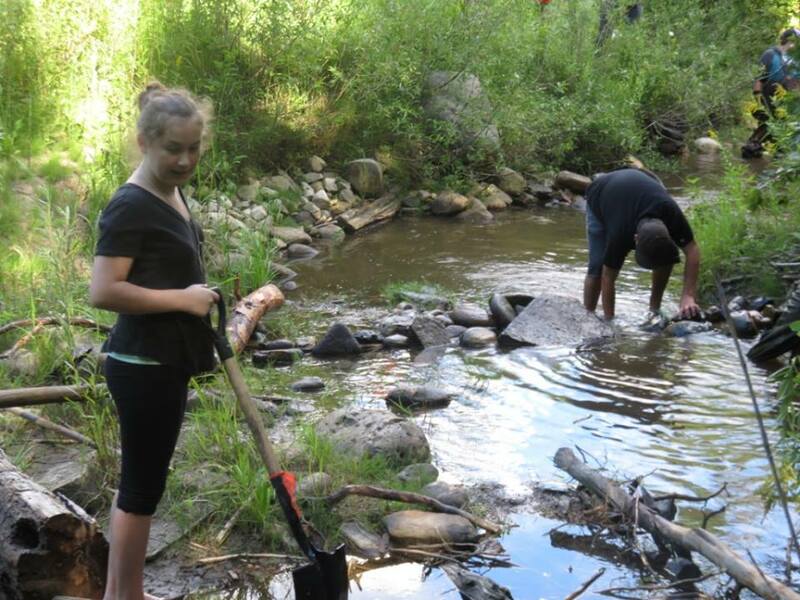 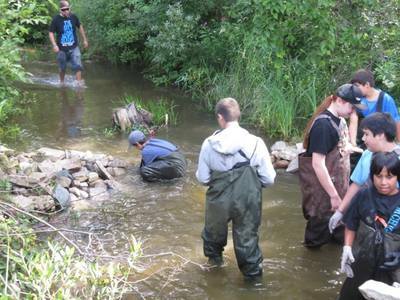 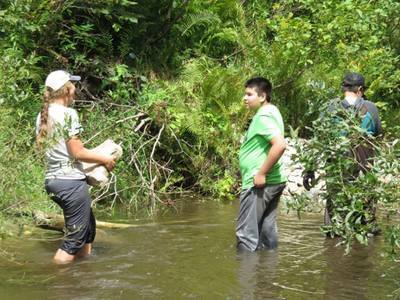 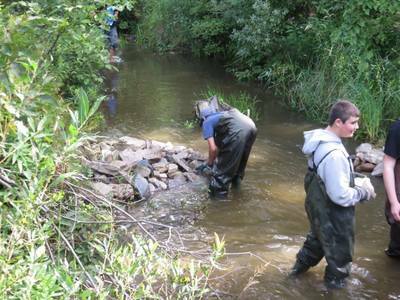 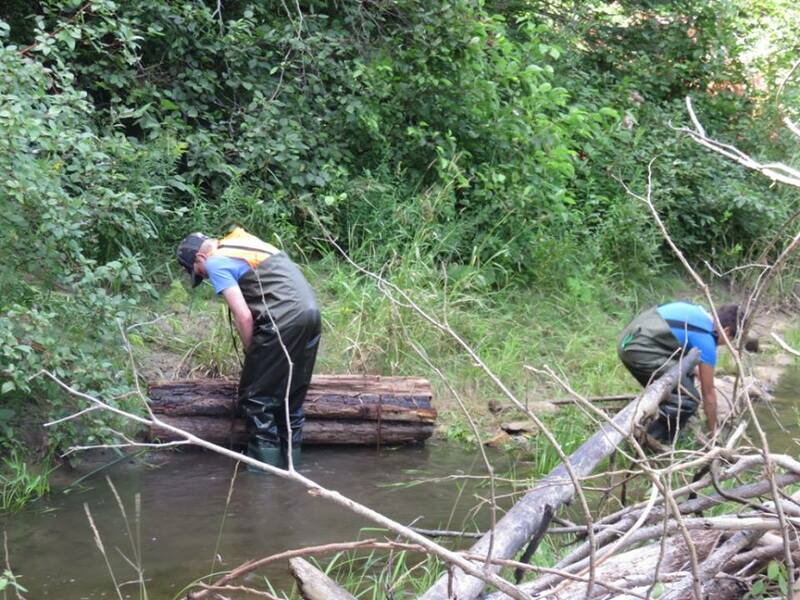 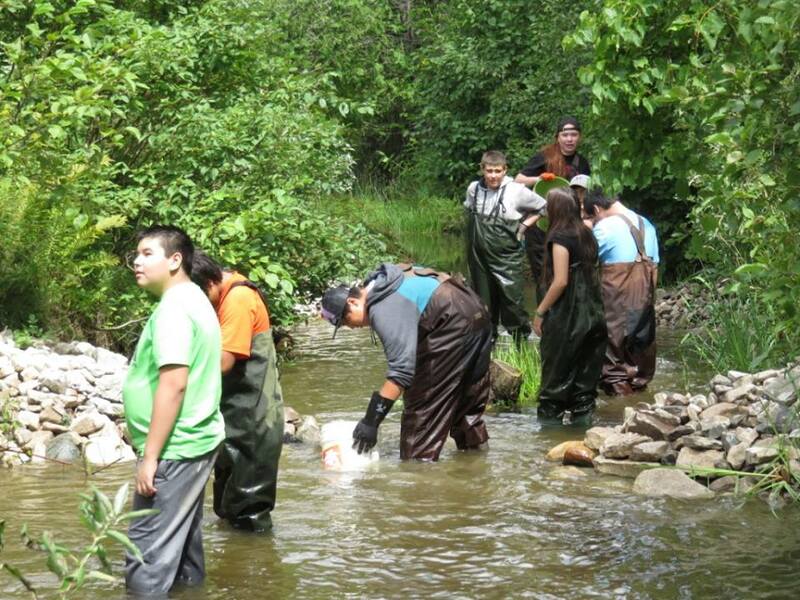 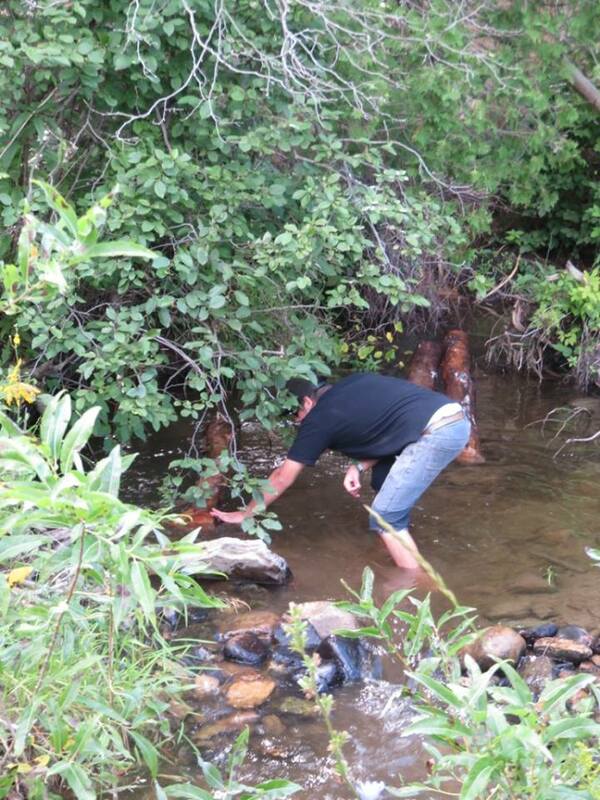 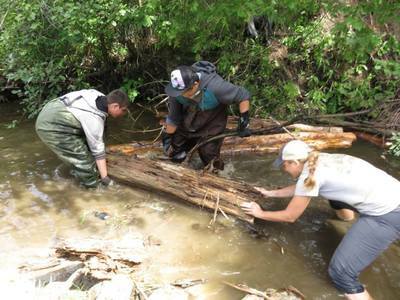 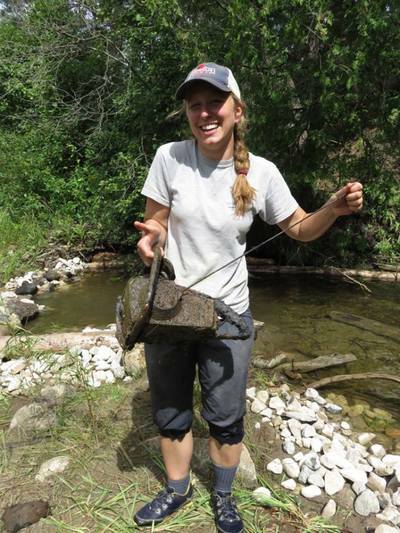 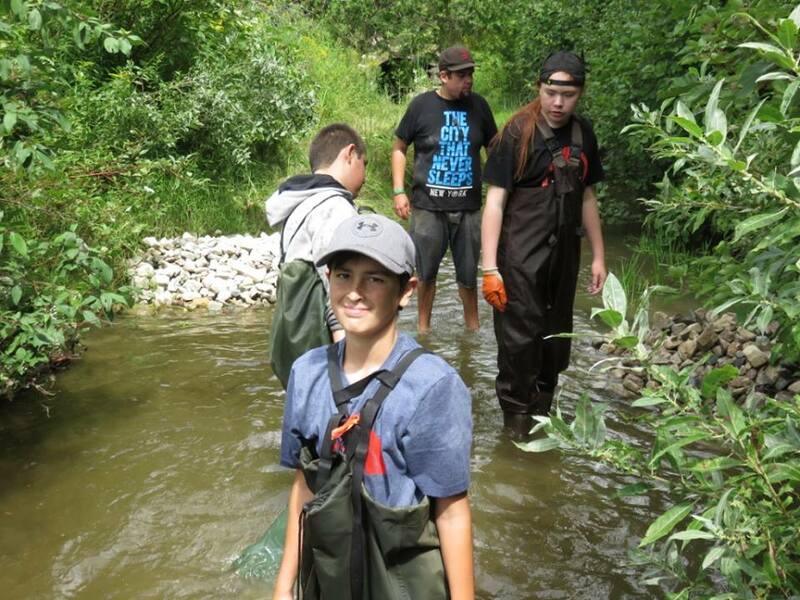 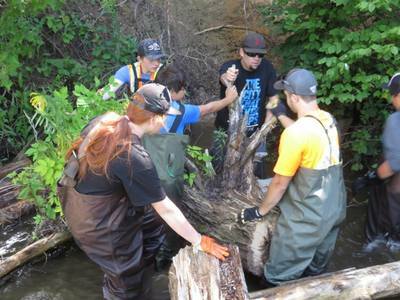 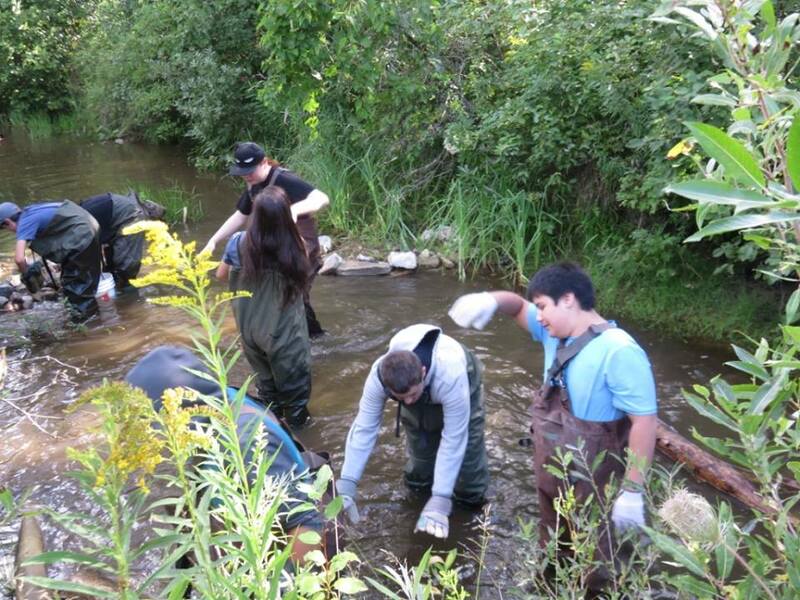 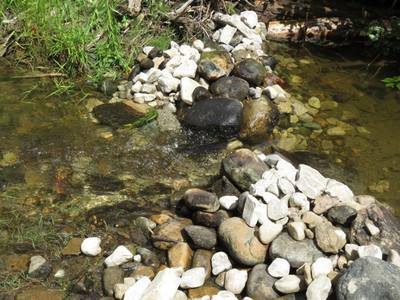 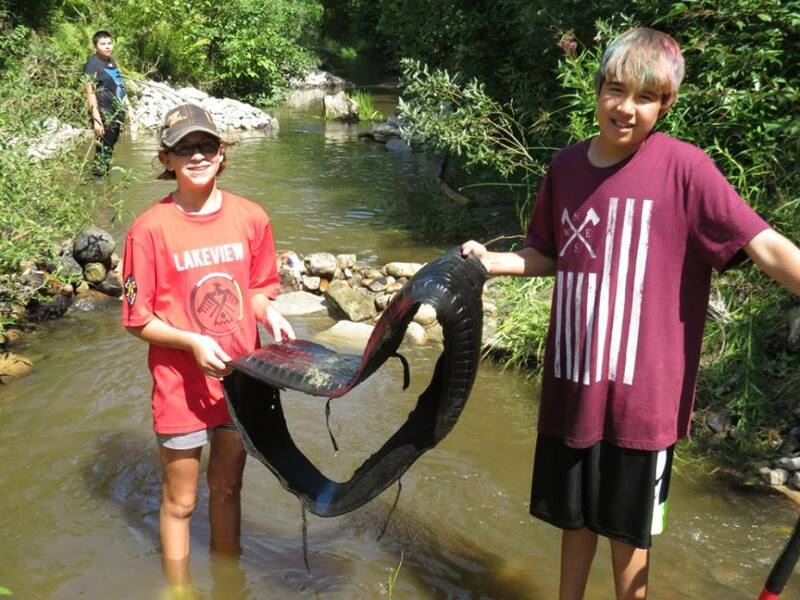 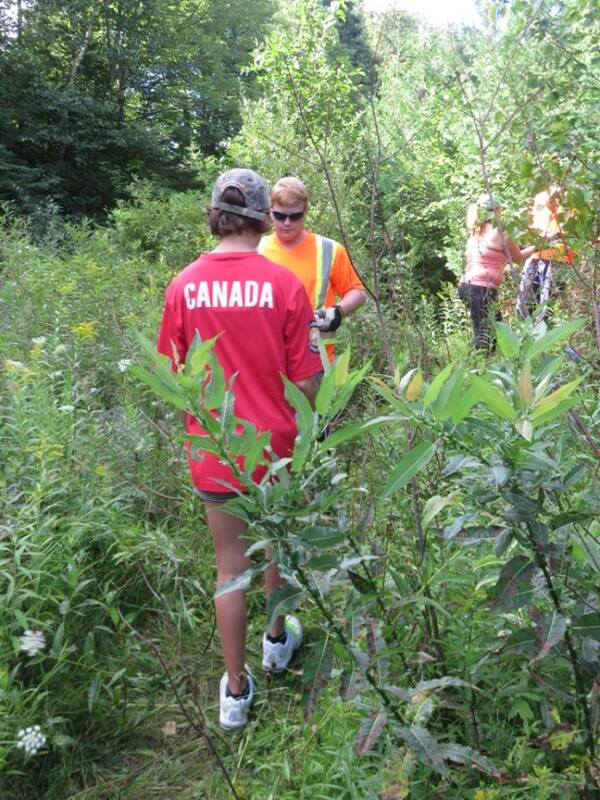 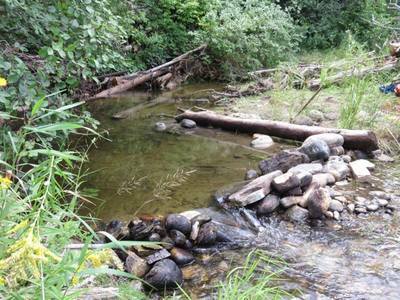 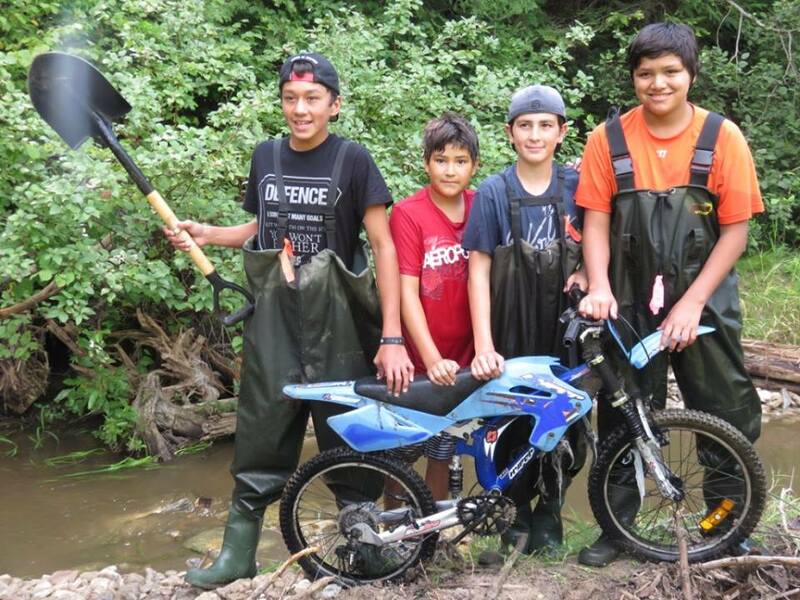 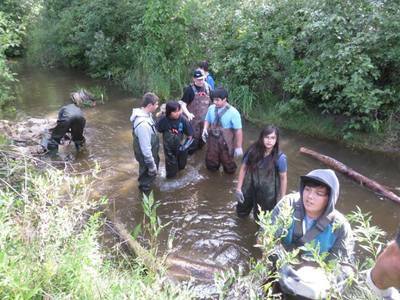 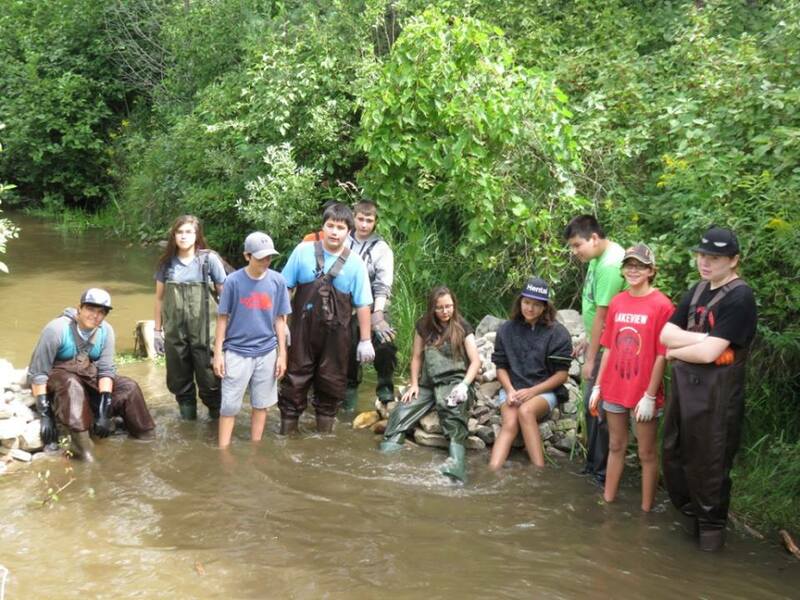 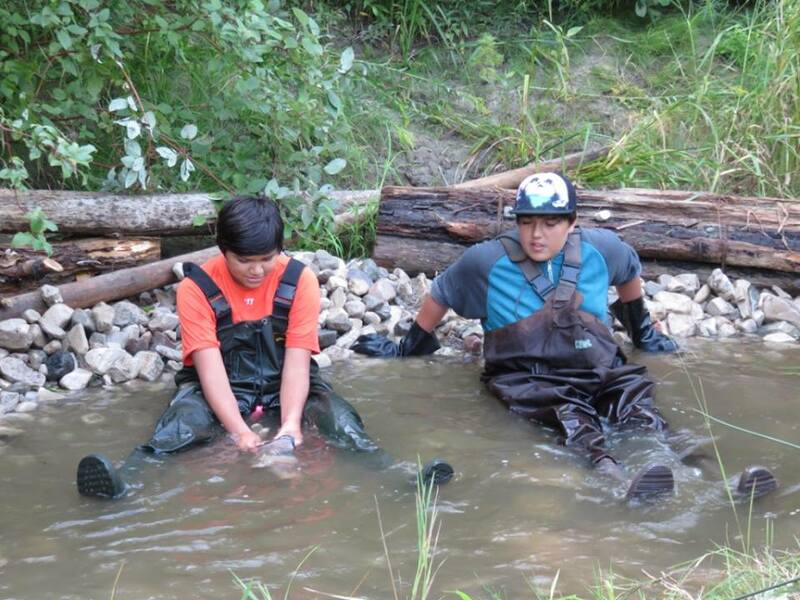 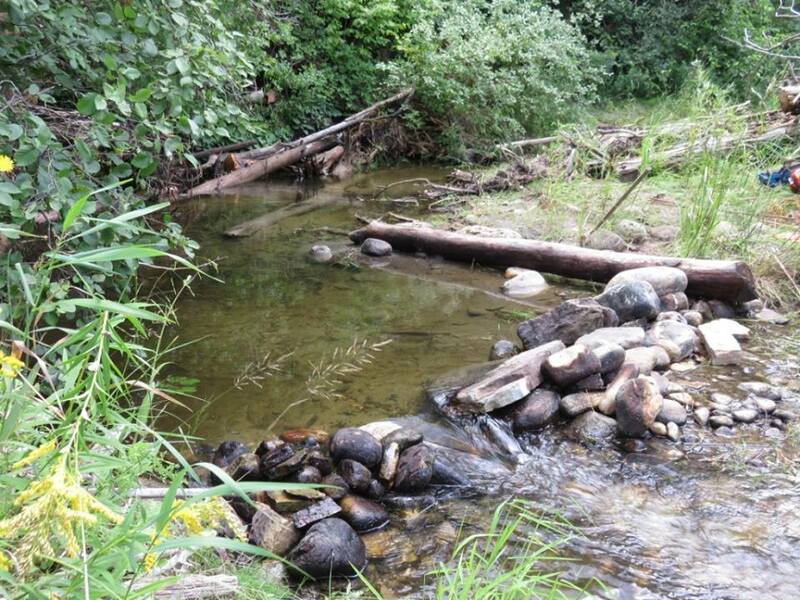 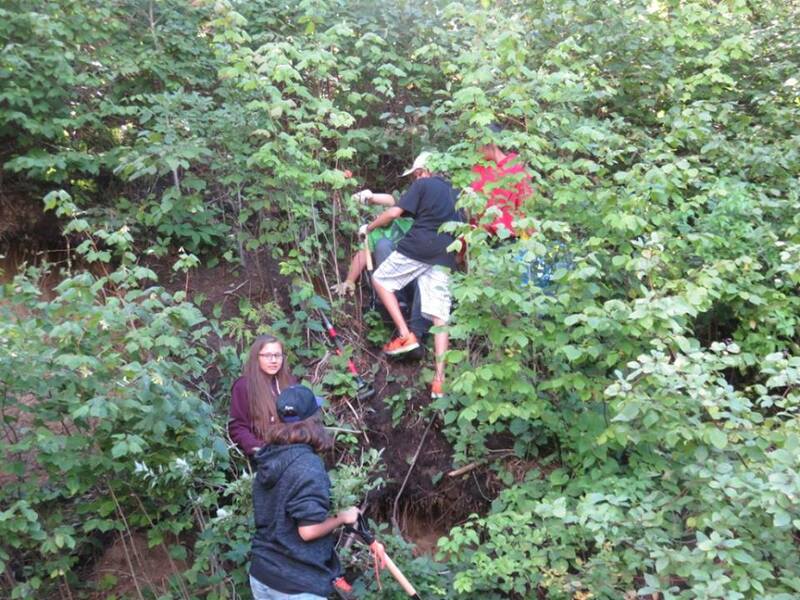 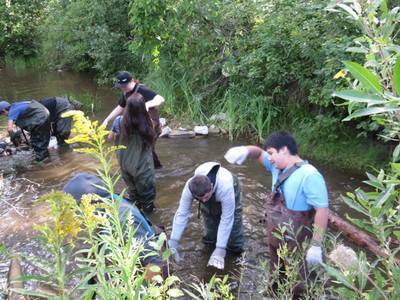 This is an annual project designed to take place on different sections of the stream every year while combining the hands on stewardship education approach. 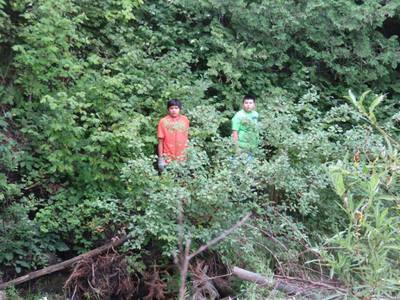 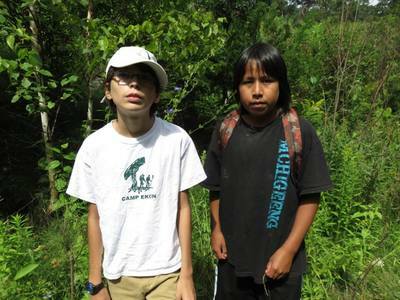 These children are really making a difference in their community.